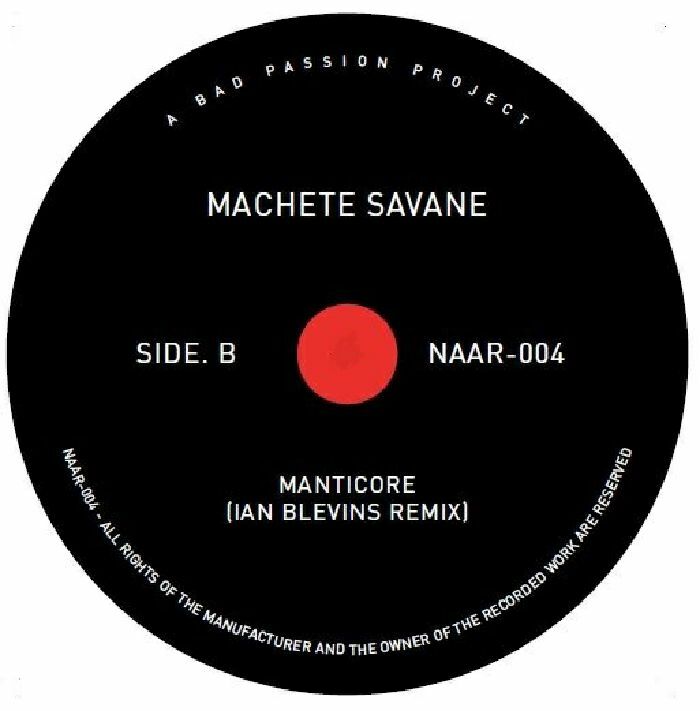 After a three-year absence, former Redux and Cynic duo Machete Savane (AKA Saul Richards and Andy Bainbridge of Bad Passion Project) return to action. Fittingly, it comes on Bad Passion Project's Not An Animal Records. 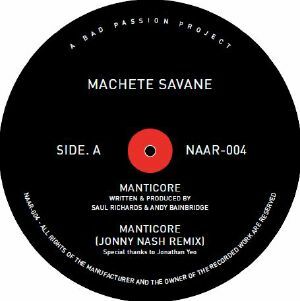 "Manticore" is something of a treat for those who like their disco electronic, atmospheric and doused in perm-sporting rock and '80s AOR influences (think winding guitar solos, Italo-disco arpeggio lines, punk-funk bass, and spacey electronics). It comes backed with two contrasting remixes: a throbbing, disco-tech revision from ESP Institute regular, and an ambient re-invention from Jonny Nash. The latter's alternately glistening and dreamy version is as sublime as you'd expect.